It was my birthday on Sunday last week and what better way to spend it then getting up close and making friends with penguins! Seriously - every birthday from now on needs to include penguins. Unfortunately, I couldn't fly over to Antarctica but Kelly Tarlton's Aquarium in Auckland was the next best thing. 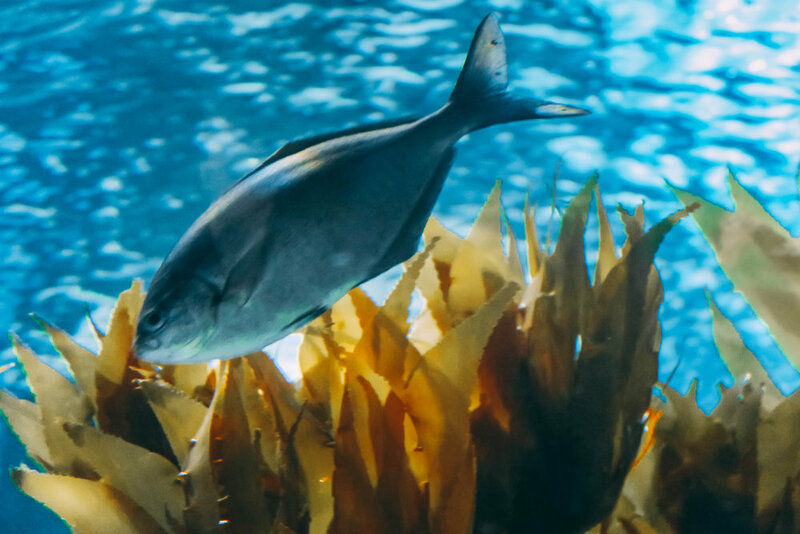 The aquarium itself is worth the trip and can be found on Tamaki Drive, just 10-15 minutes from Mission Bay - so you can also include a trip to the beach. Inside, you'll find an abundance of sea life such as jellyfish, mandarin fish, stingrays, seahorses, king crabs, pig fish and moray eel. Sometimes they have turtles which have been rescued and are due to be released back into the sea. A main attraction is the shark tunnel where you can watch as Sand-tiger and Broad-nose Seven gill sharks swim above your head. With over 1,500 sea life inhabitants across 50+ species, regular talks and feedings - there’s so much to learn and discover! Plus there are special exhibitions such as the recreation of legendary explorer’s Antarctic hut with authentic memorabilia showing just what it was like for the adventurers over a hundred years ago. The best part was taking part in the Penguin Passport which allowed us to go behind the scenes and on the ice with the penguins. 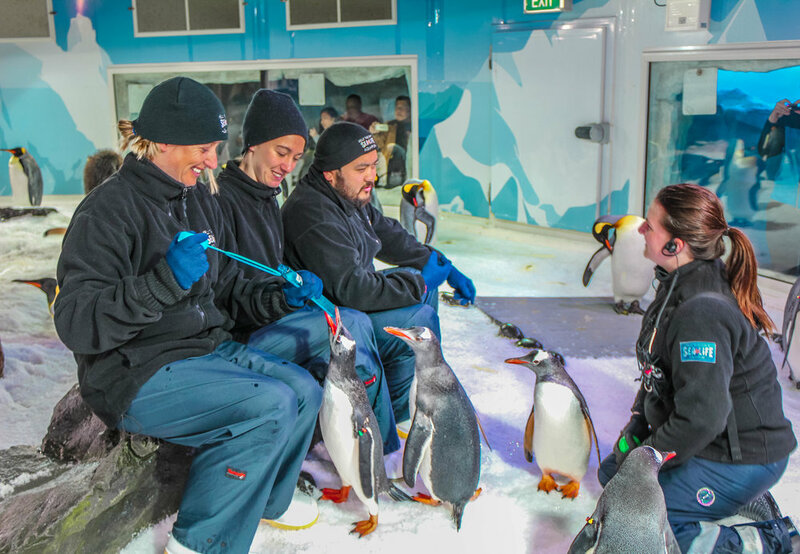 First, you are taken to see the penguins as normal and the keeper gives you a detailed talk about the Gentoo and King Penguins. The rules and regulations of being on the ice are explained to you and then you are taken to get changed into your arctic gear (a fleece, warm trousers and big boots). You're not allowed to touch the penguins as they don't like it but they are pretty friendly and curious so they come up to you and stay with you. They love anything shiny so you have to take off jewelry and tie up hair but you take bubbles and a plastic ball with you for them to play with. It was a pretty special experience and I reccomend you try it for yourself if you are ever in Auckland. 7 days a week Kelly Tarlton's operates a FREE shuttle service from downtown Auckland! The shuttle runs hourly on the HALF hour from 9:30am until 4:20pm, with the final pick up from downtown being at 3:30pm.